‘The King’s Speech’ is an ugly distortion of history. In a critically and commercially disappointing year for the film industry, one of the few highlights has been the reception given to The King’s Speech. The movie has been nominated for just about every existing award, and a bevy of Oscar nominations are forthcoming. The period drama is also on its way to financial success. Like Stephen Frears’s film from 2006, The Queen—which won Helen Mirren an Oscar for her eponymous performance—The King’s Speech is a testament to Americans’ continuing fascination with the British Royal Family. But, unlike The Queen, which was merely simplistic in its portrayal of the monarchy, The King’s Speech is historically inaccurate, entirely misleading, and, in its own small way, morally dubious. 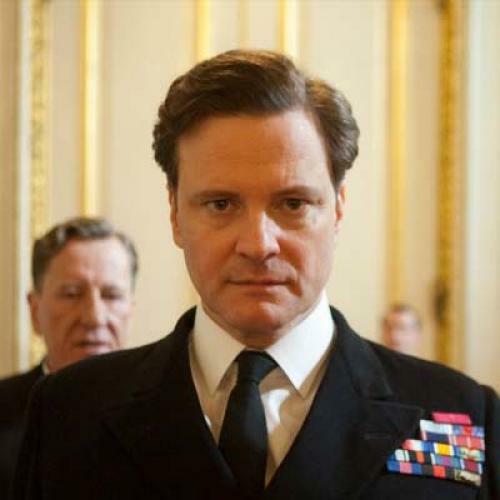 The film tells the story of King George VI (Colin Firth) and his battle with a speech impediment. Bertie, as he was known, seeks the help of a speech therapist (played by Geoffrey Rush), and the two spend most of the film—differences in social status be damned—bonding. By the time the credits roll, Bertie has conquered his stammer, and the British people are well on their way to vanquishing fascism—the latter, naturally, having been aided by the former, thanks to an inspiring royal address from Buckingham Palace after the German invasion of Poland. This heartwarming tale plays out predictably and unsubtly—The King’s Speech is one of those films that is not content to show us a friendship developing over two hours; no, the characters must also tell us how much the friendship means to them. By shortchanging the danger that Edward posed to Britain, the viewer is likely to believe he was no more than a ridiculous and self-indulgent brat. But he isn’t the only character who is sanitized in the movie. First, there is Winston Churchill, played by Timothy Spall in a small role. Spall’s crucial scene takes place after the Simpson affair has become known. Churchill counsels Bertie and reports his (Churchill’s) dismay at the way Edward is behaving. This will come as news to historians because Churchill—astonishingly—supported Edward throughout the abdication crisis. His grandstanding on the issue even shocked his allies, who couldn’t believe that he would risk his political comeback to support an appeaser and fascist like Edward. Most likely because of Churchill’s historical standing, the film simply omits all of this and assigns the heroic war leader the opposite position to the one he actually held. Bertie himself is also romanticized. He is seen presciently raising the question of German aggression before the invasion of the Sudetenland. Edward waves off Bertie’s warning, and, the next time we are instructed to focus on political questions, the King is heroically rallying his people to the battle against fascism. The film leaves out what happened in the intervening period. Why wasn’t this story told? The likely answer is that even highbrow critics and audiences love to toast the House of Windsor. While the Royal Family may frequently appear more tawdry than anything else, cheap American Anglophilia can always be counted on to provide thunderous applause. Take The Queen. Unlike The King’s Speech, that movie was witty and compelling. But it also presented the Princess Diana phenomenon with a complete lack of distance. Viewers who wondered why the Western world came to a halt for two weeks solely because of an unexceptional woman’s death were unlikely to find any answers from the movie. Now, The King’s Speech has taken things a step further by not only simplifying its story but grossly misrepresenting real events and people. Apparently, the life of George VI had too many shades of gray for a mainstream film. Isaac Chotiner is the executive editor of The Book.